I am always a little sad to see the cooler days end here in Florida. I know you want to throw a snowball at me now, if you live in the far north and are sick, sick of winter! We only had two cool-ish months this year, when I made the most of my tights, boots and scarves. Now it feels like time to switch up a few things in my closet. I’m not as attracted to my many black things as I was a few months ago, and it’s high time for a pedicure too – to show my toes off in my Spring shoes. 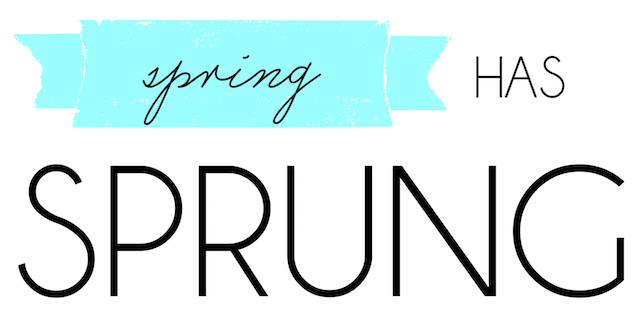 Most of us don’t completely replace our wardrobes from season to season (do you? ), but it’s fun to update, shuffle pieces around, and splurge on a few new things. A cotton skirt, full and perhaps pleated, to wear with my graphic tees (see below) any day of the week. I much prefer light skirts to shorts for the comfort factor, as well as the flattery issue – shorts just don’t look great on me. I blame the shorts, naturally. 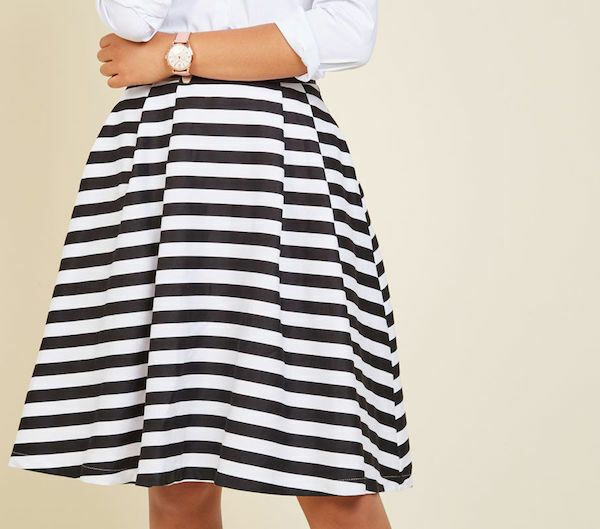 I love a striped skirt that I can wear with tees or pretty blouses. Lipstick. We can alternate the reds and burgundies now with some light, glossy shades and textures. This whole set of gloss, lipstick and pencil is only about $40. 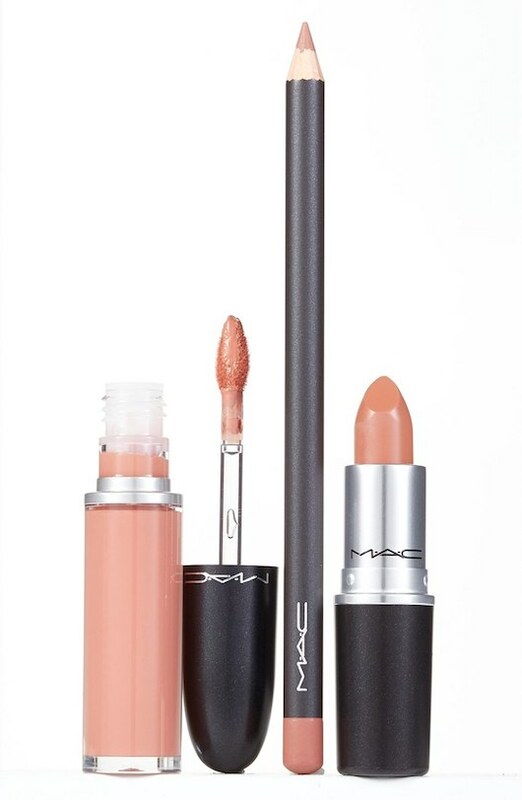 Great neutral Spring shade. 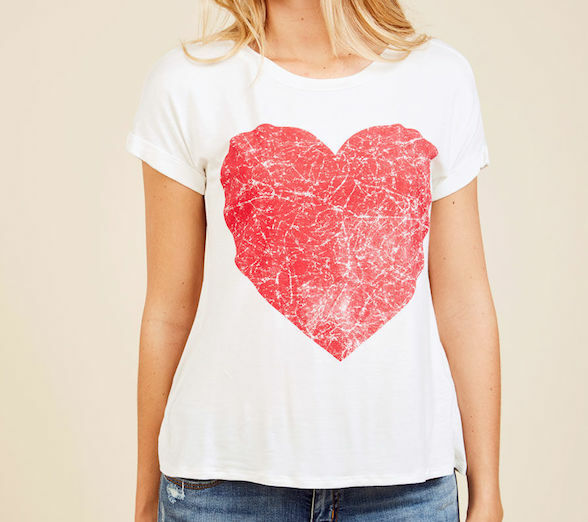 Show your love of life with this graphic tee. 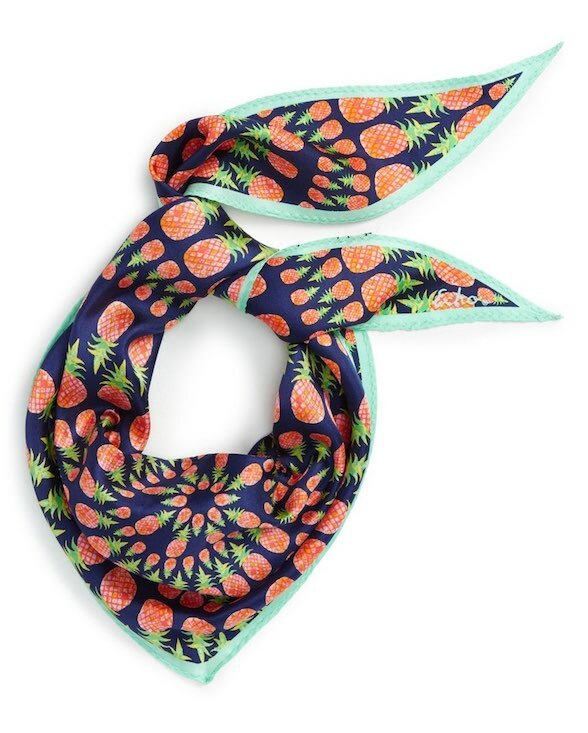 What are you thinking of adding for Spring? It’s been a coolish/rainy Southern California, here at the beach, but heat is on the way. I have so appreciated the opportunity to wear “California winter” clothes…such as yours, presumably. As a fellow Floridian I too am sad to see the coolish weather end. This time of year is my favorite! I love opening the windows and being outside, the hot, humid weather is right around the corner, ugh! I would throw a snowball at you, but we didn’t get very much snow this winter, thank goodness! I went on a buying spree at my favorite local thrift so have a lot of “new” spring things I can’t wait to get into. Love the striped skirt, Patti! I am looking forward to spring and summer but mine are much shorter than yours. I love all the options in your post. That skirt! Wowzer! Peace!